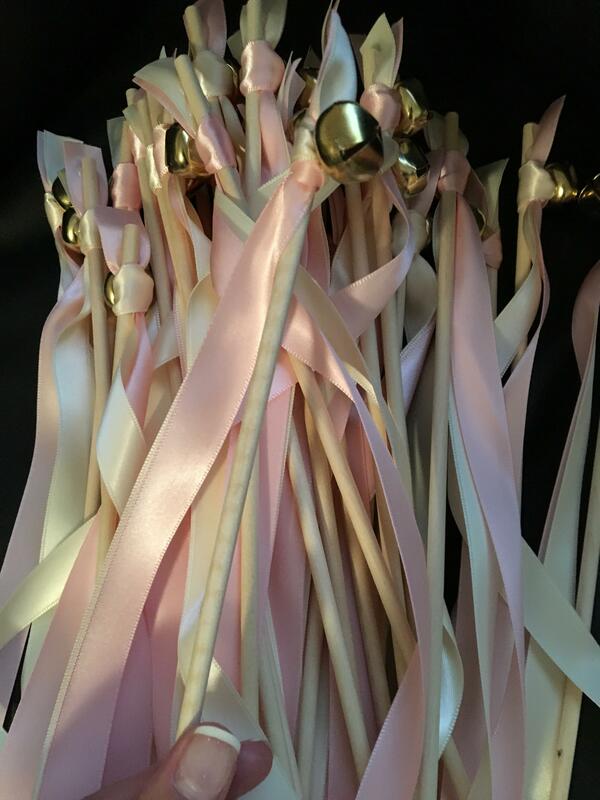 Mixture of wedding wands with bells. Willing to sell all together (recommended) or individual sets if preferred. 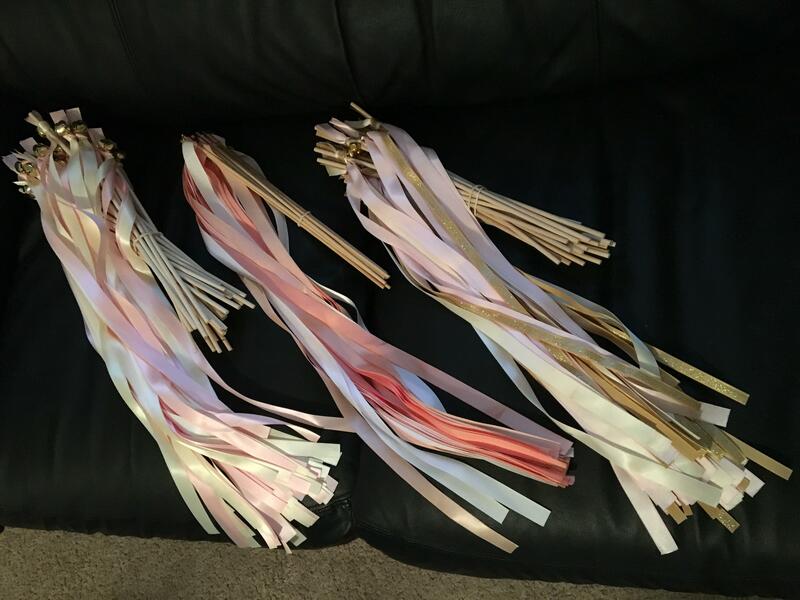 Asking $30 or the best offer for complete set of 66 wedding wands. 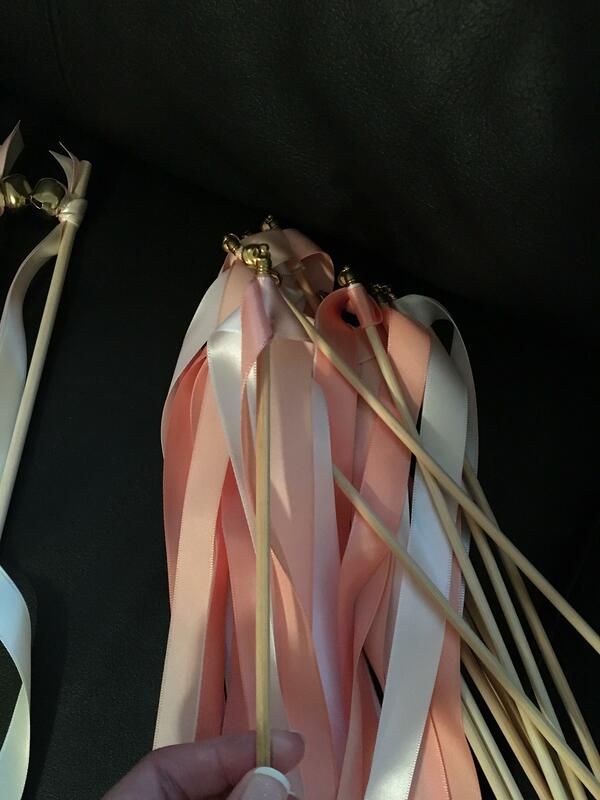 I mixed all together for our wedding. 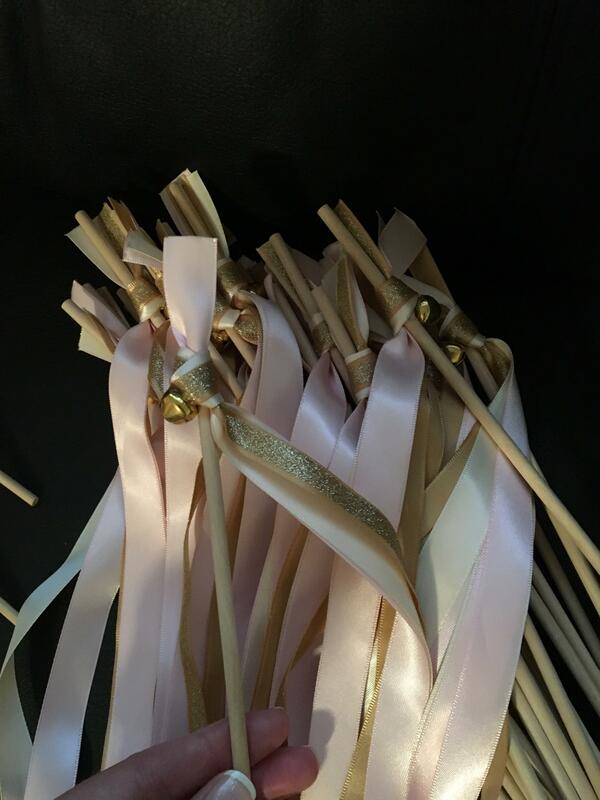 All wedding wands have 12 inch wooden sticks with 20-23inch long ribbons with bells. All are in fantastic condition. 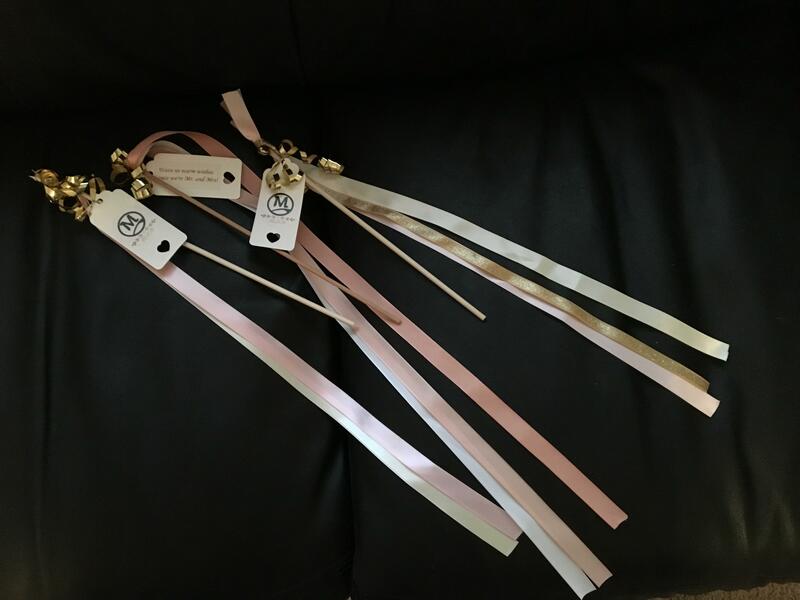 I included photos of how we personalized them for our wedding (tag with gold ribbon) that you might consider. 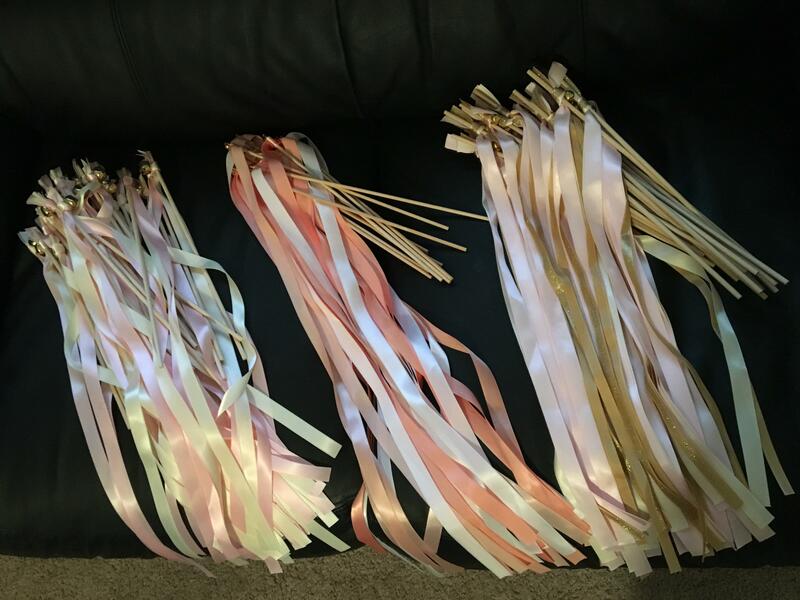 Detailed colors of the sets: - 35 of blush and ivory ribbons (with bells) - 12 of peach, blush and ivory ribbons (with bells) - 24 of blush, ivory and gold ribbons (with bells) Thanks and please let me know if you have any questions!